The LEAP InnovatED Summit is where the most innovative education stakeholders convene to advance the transformation of education. The Summit is a full day of inspiring and informative keynotes, interactive sessions and thought-provoking conversations on best practices, insights and research on personalized learning. 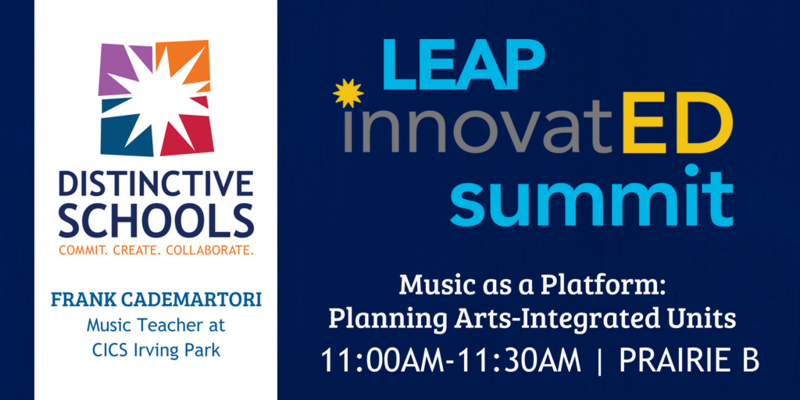 If you’ll be attending and have interest in Arts Integration or using arts in the gen ed classroom make sure you add me (https://leapinnovatedsummit.sched.com/event/FrLZ) and check out my session! 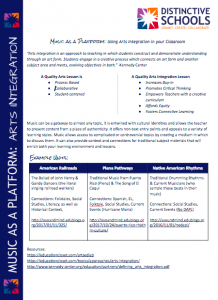 Music can be a gateway to almost any topic, it is entwined with cultural identities and allows the teacher to present content from a place of authenticity. It offers non-text entry points and appeals to a variety of learning styles. Music allows access to complicated or controversial topics by creating a medium in which to discuss them. It can also provide context and connections for traditional subject materials that will enrich both your learning environment and lessons. FREE Concerts from Chicago Symphony Orchestra!